In a few short weeks, Jon Stewart will host his final episode of Comedy Central’s The Daily Show, with the last episode airing August 6. This is significant news in Mercer County, since Stewart hails from Lawrence Township and has been developing his talents since childhood. I should know, he was my neighbor. Now, I cannot claim that I know Mr. Stewart (who is eleven years older than I am) or have some great stories to tell. The fact of the matter is my greatest claim to any aspect of Mr. Stewart’s fame is that his mom’s driveway served as my school bus stop for about 5 years and I would occasionally say hi to her when she came out to pick-up her newspaper or put out her trash. No, my only memory of Jonathan (as the neighbors still call him) was the time he and two of my other neighbors scared the living daylights out of my sister, my friend Kelly and myself after a night of trick or treating. I was probably in 2nd grade at the time and the trio of high school seniors had put on football helmets with scary rubber masks over them and long overcoats, then hid in the bushes at the end of my driveway so they could jump out at us when we came back from bleeding the rest of the neighborhood dry of chocolate. It worked, we dropped our candy and ran. Of course we got our candy back and had a good laugh afterward, since the only kind of snickers anyone was looking for were not the kind with peanuts and caramel. 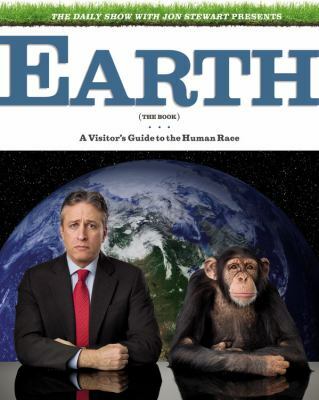 Needless to say, I have followed Stewart’s career and been an avid Daily Show fan for years. Stewart has been host of the nightly news parody show for the past 17 seasons and, as such, has seen his star status rise to a level worthy of hosting the Grammys and Academy Awards. But the show is far from the only entry on Stewart’s professional résumé. In addition to the regular hosting gig, he is an author, director, stand-up comedian and actor. Prior to moving over to Comedy Central, Stewart worked on various projects for sister station MTV and hosted The Jon Stewart Show there for three seasons. In addition, he was a frequent guest star on TV shows (NewsRadio, The Nanny and Spin City) and late-night comedy shows, as well as several specials on up-and-coming comedians. Since moving over to The Daily Show, Stewart has continued to appear as a guest on a variety of talk shows, late-night shows, comedy specials and benefits. He has also taken part in celebrity editions of Jeopardy! and Who Wants to Be a Millionaire. Aside from The Daily Show, Stewart’s other big project at Comedy Central was as executive producer of The Colbert Report, which featured former The Daily Show reporter and new Late Show host Stephen Colbert. 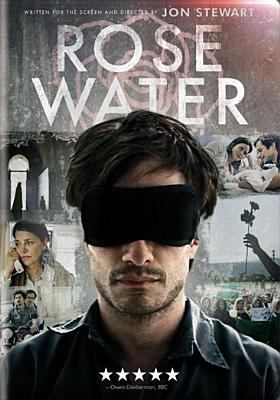 Rosewater – Stewart made his debut as a director in this feature film about a journalist who is detained in Iran under suspicion that he is a spy. The film stars Gael Garcia Bernal and, although it was not a huge commercial success, was well received by critics and movie goers, still sporting a rating over 75% on Rotten Tomatoes. America (the book): A Citizen’s Guide to Democracy Inaction – this “textbook” on American government and history was written by Stewart with the correspondents and writers from The Daily Show. There is an original edition and a paperback, expanded Teacher’s Edition. Designed to mimic a textbook, it covers almost all aspects of the United States government in humorous fashion, complete with the typical textbook-style side boxes and infographics. Earth (the book): A Visitor’s Guide to the Human Race – the follow-up to America, Earth takes on the rest of the world in the same textbook-style and was also written by Stewart with the correspondents and writers from The Daily Show. 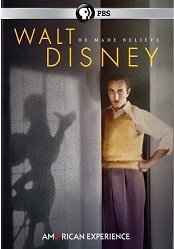 Naked Pictures of Famous People – Although the topics may seem dated in this 1998 book, the humor makes it worth reading, as Stewart shows his trademark skewering of American popular culture and politics in essays such as “The Devil and William Gates” and “Lack of Power: The Ford Tapes.” Even the title is great, almost eerily predicting the future of the internet. Go ahead and try to Google it without adding “book” to your search. Well played Mr. Stewart, well played. The Faculty and other acting roles – Lest we forget that Stewart started out as a stand-up comedian and actor, we have some of the films he was in. Most were small roles and one recurring joke on The Daily Show has been that Stewart’s big break was as “rollerblader” in 1994’s Mixed Nuts. Other roles were in Big Daddy, Jay and Silent Bob Strike Back and Death to Smoochy. More recently, Stewart has appeared as himself in Evan Almighty, Elmopalooza, in Stephen Colbert’s Christmas Special and in the crossword documentary Wordplay. Astute listeners may have also picked up his voice on episodes of The Simpsons, Robot Chicken and Phineas and Ferb. Laura - You should give "how to write a blog" class!